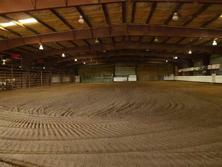 The 100’x200’ indoor arena was finished in Fall 1997. 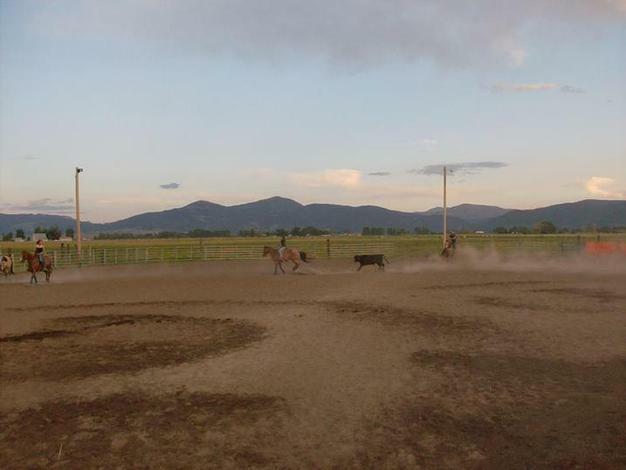 It has evolved into a community in itself, where people bring their horses to practice and participate in events such as team roping, barrel racing, bronc and bull riding, equitation and general riding. It is a popular venue for year-around riding and winter events. In addition to the indoor arena, a lighted outdoor arena is available for summertime activities and offers team roping chutes. The indoor facility includes two “wings” on either side of the arena, that house paneled stalls and rough stock holding pens. The arena is complete with rough stock chutes and steer roping chutes. Large garage-style doors on both ends allow for easy access and ample ventilation. The facility is also equipped with lighting, wood stoves, bleachers for spectator seating and heavy iron pipe paneling. 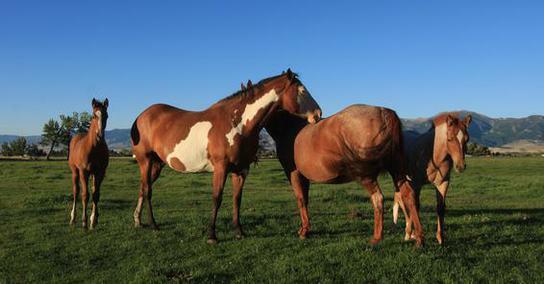 The footing is a suitable cushion of arena sand fit for livestock. 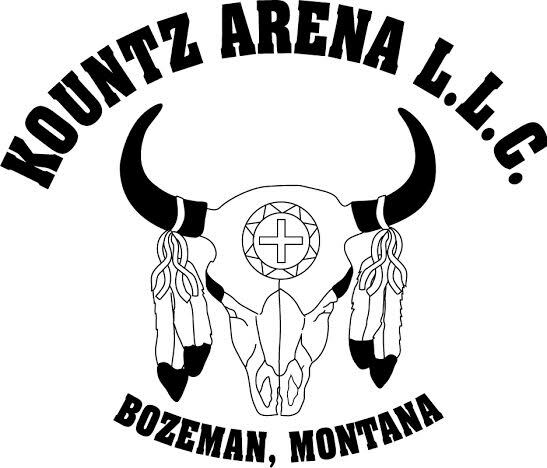 Kountz Arena, located just outside Bozeman, hosts various winter series jackpots, team roping practices and other horse clinics and events. For more information, contact us, to attend event practices, or to make arena reservations for events and open riding.